Still more stages for Eggerland Mystery ! Karoshi MSX Community > Archivo (pre 2018) > English Boards > General Info > Still more stages for Eggerland Mystery ! After having provided 125 stages based on Eggerland 2 (MSX) and Eggerland (Famicom Disk System), I've continued my exploration of this fantastic world of challenging puzzles with the very difficult Eggerland Meikyuu no Fukkatsu - Revival of the Labyrinth, published in 1988 by HAL on Famicom. It's probably the more ambitious game of the Eggerland/Adventures of Lolo serie. With the same adaptations, due to the limitations of Eggerland Mystery, I've created no less than 160 new stages based on this complex game that ends with a fake mini-RPG game, a sort of Dragon Quest's parody! 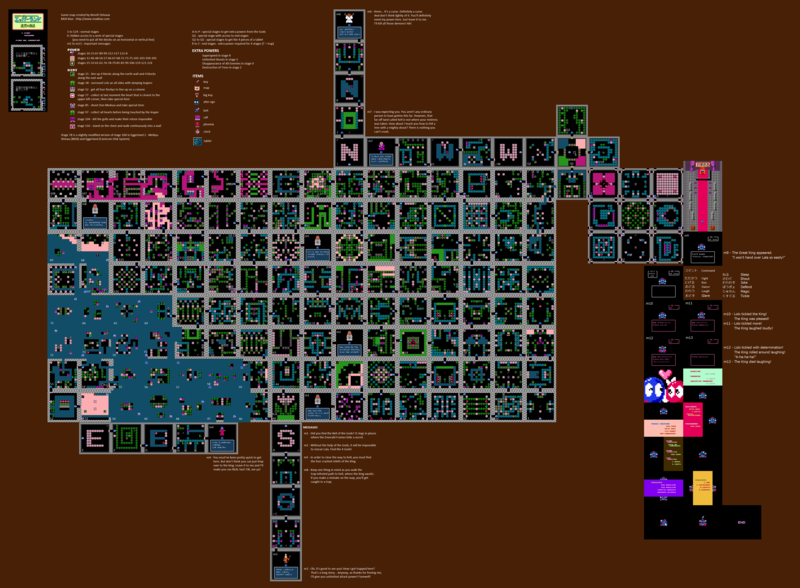 More exactly, there are 159 new stages for MSX, because stage 78 is actually a slightly modified version of stage 100 in Eggerland 2. I'm pretty sure that all Eggerland fans will enjoy all these puzzles, some of them are really not evident, especially when there are so many enemies and that a part of the solution is a warp hole, maybe used several times! What also makes the charm of this game is that you have always a mix of easy and difficult stages. If you want to know better the original labyrinth and compare the original stages with my adaptations, that's very simple, as I've created also 2 new maps, one with the Famicom game, one with the puzzles on my DSK file.